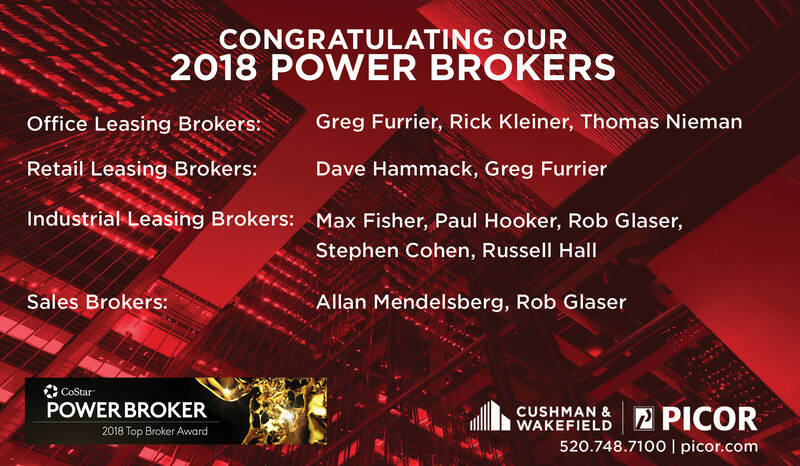 Contact Cushman & Wakefield | PICOR. We inspire results. Our team of experienced Tucson-based commercial real estate brokers brings bench strength with a singular goal in mind: Add value to every step of the transaction process. Whether you are a tenant, landlord, purchaser or seller, or simply in need of sound market knowledge, we assist our clients in achieving a competitive advantage. From investment brokerage to leasing, advising individuals and businesses regarding commercial property is Cushman & Wakefield | PICOR´s foundation. We are Southern Arizona’s market leader, consistently ranked as the Tucson region’s most experienced and knowledgeable commercial real estate brokerage firm. Contact Cushman & Wakefield | PICOR. We inspire results.